His eyes how they twinkled, his dimples how merry! His checks were likes roses, his nose like a cherry! His droll little mouth was drawn up like a bow, and the beard of his chin was as white as the snow; St. Nicholas is a picturesque image of the Santa Claus we all know and love. He is dressed in a deep red velvet coat and hat with faux fur detailing, wool pants and a linen shirt. His face is carved with intricate details and painted with light washes to allow the beauty of the wood to show through. He is topped off with a toy sack filled with gifts. 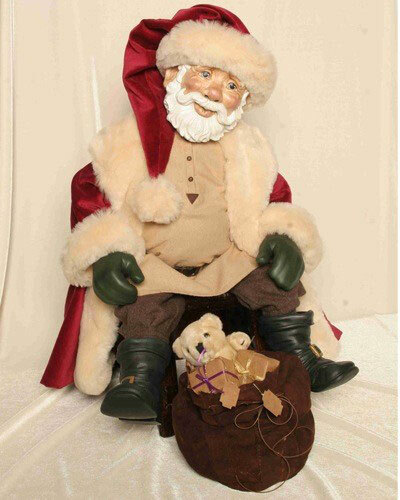 A companion to our 24″ St. Nicholas. Sitting beside St. Nicholas Mrs. Claus completes this wonderful set. Having tea and cookies on the night before Christmas you can almost visualize him getting ready for his big night. 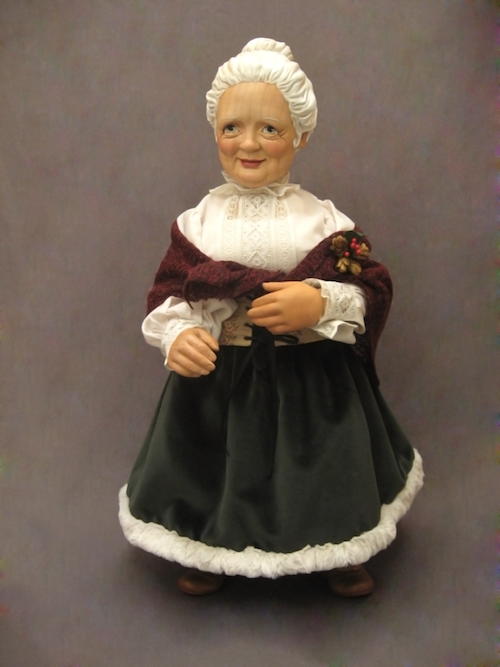 Mrs. Claus is 24″ tall, carved from solid wood with hand painted face, hair and shoes. She comes dressed in a reproduction vintage blouse of batiste cotton and swiss lace, her skirt is a lovely dark green velvet trimmed with ivory faux fur.A wide brocade girdle that laces up the front and is finished off with a red shawl to keep out the winter chill. 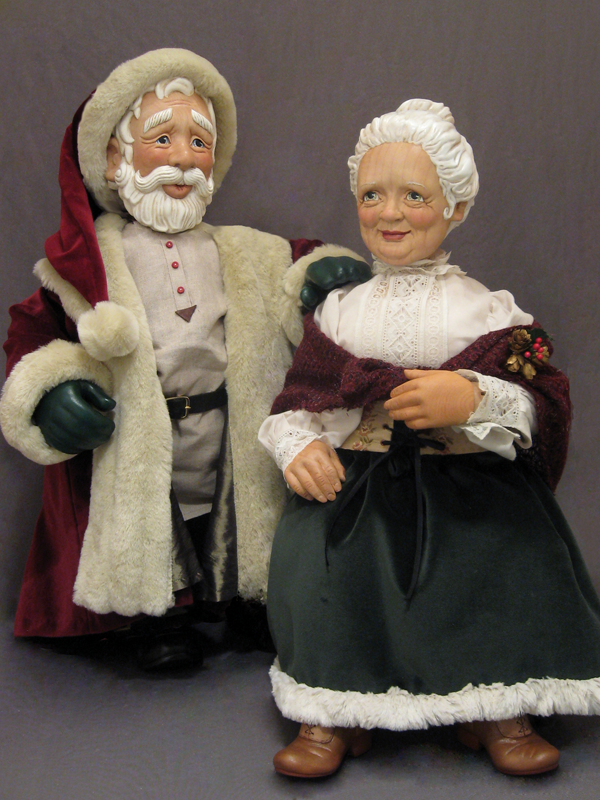 Both Santa and Mrs. Claus are Made to Order. Please contact us for more information.